Charleston has many beaches that surround the city, and with each oceanfront community having its own unique character. The main beaches that surround Charleston are Sullivans Island directly above Charleston, Isle of Palms just beyond that (which includes Wild Dunes Resort), Folly Beach just below Charleston, and Kiawah Island and Seabrook Island below that. Further South you have Edisto Beach as well. If beachfront and oceanfront homes for sale are what you are looking for, Charleston has an abundance of choices. Read more below about oceanfront homes surrounding Charleston. Edisto Beach oceanfront homes are probably the least expensive for the area. They typically start in the 700’s and can of course get much more expensive than that. The attraction or draw for Edisto Beach is how the island still remains quiet and local. It really is a quiet and peaceful area with not much through traffic or daily beach folks from the rest of the Charleston area (Charlestonians usually go to the other beaches closer to Charleston for the day). If you’re thinking of buying beachfront property on Edisto, make sure you’re far enough from the water. 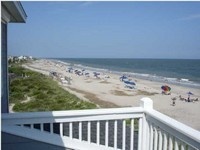 The front row of oceanfront homes on Edisto Beach are very close to the ocean. Frequently, the ocean can even come up the very back of the house! Quiet and peaceful is Edisto Beach. 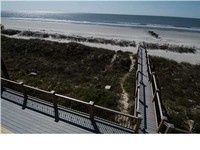 Folly Beach oceanfront homes are the next least expensive for the Charleston area. Folly Beach is about 15 minutes to downtown Charleston, and beachfront homes here start in the 800’s. If you’re looking for oceanfront property within 45 minutes of Charleston, Folly Beach is the most affordable location. Folly Beach is very active in the summer. The east end of Folly typically gets more traffic, and seems to be the more ‘active’ area. College of Charleston or MUSC students frequent the east end of Folly much more than the west end. The west end of Folly is much quieter with less traffic, less rentals, and more families going to the beach (as opposed to younger single beachgoers going to the east end). Sullivans Island beachfront homes are the most difficult to find surrounding Charleston. The law of supply and demand reigns here. 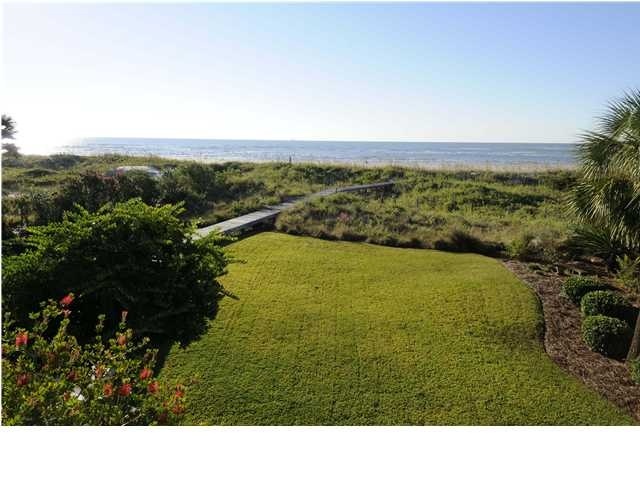 Typically, oceanfront homes on Sullivans Island start in the 1.5-2 million dollar range. Sullivans Island has a laid-back quiet island style of living with a strong local community. If you own an oceanfront property here, you are within 10 minutes to downtown, Charleston. While some of the beachfront areas around Charleston have beach erosion issues, Sullivans Island seems to be in the minority, boasting some land accretion for its oceanfront owners. 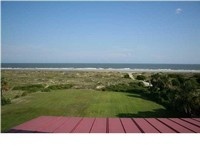 Isle of Palms oceanfront homes have great backyards, and plenty of sand and beach. This is arguably the most popular oceanfront community surrounding Charleston. This spot is anywhere from 15 to 25 minutes from downtown Charleston (depending where you are on the island). A lot of the locals that live in the surrounding communities come to Isle of Palms to enjoy the beach. Most of the oceanfront homes here have a nice dune ‘buffer’ between the homes and the ocean. Access to the ocean usually means a nice walk from the back yard, along your boardwalk over the dunes, and on to the beach.